Dual seat version: Jaguar B (Jaguar EB, Jaguar E, Jaguar IT, Jaguar BN, Jaguar T.2 and Jaguar T.4). 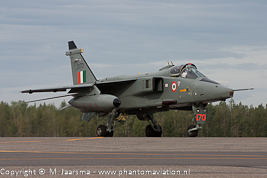 Jaguar GR.1: 165 aircraft upgraded to Jaguar GR.1A/B/mod, Jaguar ACT (Active Control Technology) and Jaguar GR.3/3A. 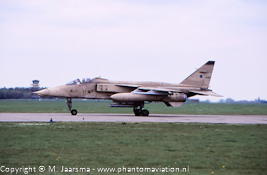 TLP out-of-area Gilze-Rijen April 28 1995. 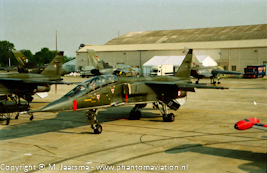 French Air Force Jaguar E EC 02.007 at RAF Fairford RIAT July 20, 1996. Co-operative Cope Thunder 2004 at Eielson AFB July 27, 2004. 6 Squadron. RAF Coltishall July 14, 2005. 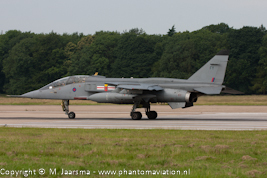 Royal Air Force Jaguar T.4 41 Squadron. 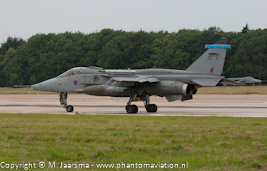 RAF Coltishall July 14, 2005. 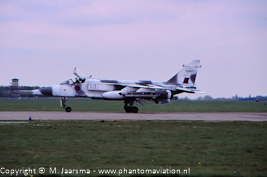 Jaguar GR1A 41 Squadron TLP out-of-area Gilze-Rijen April 28 1995.